Our MONTREAL CONDO VIP CLUB TM gives you access to exclusive offers and invitations for new condo projects in Montreal. As a VIP, you will get the first opportunity to view condo projects before the general public. Years ago, Patrice Groleau and Debby Doktorczyk recognized a lack of real estate agencies in Montreal that specialize in marketing condo projects in collaboration with developers. Seeing a need in Montreal, and noting the success of specialized real estate agencies across Canada and the US, they founded their own agency. From the very beginning, McGill Real Estate was a success, forging strong ties with many of the major project developers in Montreal. The agency’s unique approach has allowed McGill Real Estate to deploy specialized sales teams according to each project’s unique profile and to collaborate effectively with developers in placing their properties on the market. McGill Real Estate is a vision, a powerful professional network and, above all, a team comprised of dedicated professionals. McGill Real Estate’s emphasis on quality has attracted the finest brokers in the business. The team continues to expand and develop, and McGill Real Estate has already represented projects totalling more than 8500 condominiums. In addition to working on real estate projects with developers, McGill Real Estate also works with individuals who want to reap the benefits of the best real estate synergy in Montreal. 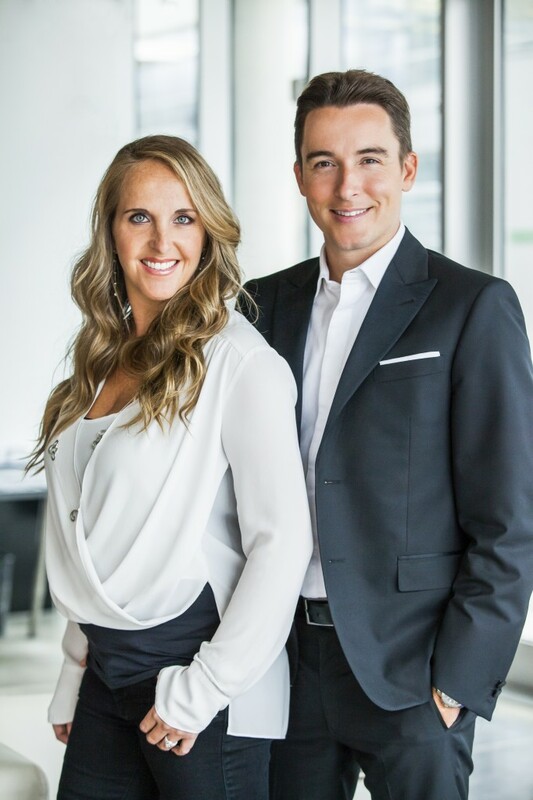 The owners of McGill Real Estate, Patrice Groleau and Debby Doktorczyk, and their team of professionals use distinctive marketing strategies in order to increase the visibility of your properties. McGill Real Estate combines international connections with the agency’s continually expanding network of partners to ensure optimal exposure, attracting both buyers and investors. Your properties will be seen by McGill Real Estate’s ever increasing roster of clients, as well as individuals and real estate brokers from around the world. We invite you to take advantage of McGill Real Estate’s extensive expertise and to benefit from working with the best real estate agency in Montreal. McGill Real Estate is very present in the medias (Newspapers, Magazines, TV, web, etc..) With spectacular publicities as well as numerous interviews and contributions to the Montreal real estate information; like La Presse, The Gazette, Le Devoir, New York Times, Les Affaires, Protégez-Vous, Canoë, Argent, L’Actualité, Le Journal de Montréal, Real Estate Magazine, Pittsburgh Post-Gazette, Robb Report, Exceptional Properties, Luxury Real Estate, Voir, Metro, Condo Monde, Échos Montréal, La Métropole, Homes & Land, Westmount Living, MSN, Canadian Realestate Magazine, KA Magazine, Speed Mag, Rue Frontenac, Montreal Real Estate Blog, Radio CIBL, TVA television, Télé de Radio-Canada, Canadian Broadcasting Corporation (CBC) and many others. To SELL, BUY or RENT properties in Montreal; Thank you for choosing McGill real estate.